This book was a prayer answered! Sarah Elizabeth Thomas Beach is one of the women who received this formal medical training. Sarah crossed the plains in utero and was born to English emigrants in Salt Lake City, Utah, in January 1853. Her father was a blacksmith and her mother was known to help others who were sick by using the herbs she had gathered and dried. Sarah likely learned this skill from her mother. After marrying and having a family of her own she moved with her eight children to the area of Menan, Idaho, in 1886 where she began her work in midwifery. She travelled back to Salt Lake City to take part in one of Dr. Shipp’s trainings. They were not only taught to care for women during the childbearing cycle but also given basic medical skills training. She was taught to set bones, sew up a cut and take care of the sick. Her daughter, Eliza, recorded, “Nearly all her time was spent in caring for the sick going night and day, in all kinds of weather and all kinds of sickness. I heard my father say when she was dressing in the middle of the night with a cold wind blowing, ‘I hate to see you get up out of a warm bed and go out at this time of night.’” A midwife of her day did not have a car with heated seats, that’s for sure. She would have gone by buggy, horseback or even on foot. And sometimes she took her baby with her to a birth. Sarah received a blessing in 1897 from the Apostle Francis M. Lyman. Her daughter recorded that the blessing was fulfilled, “To the day of her death her mind was keen, extra bright and many times in her practice as a midwife, I have heard her say how on many occasions in her practice when everything seemed to be against mother and child, she heard the prompting of the spirit, which had been promised her.” Her daughter, Eliza, witnessed their bishop testify that her mother had saved his wife’s life. Across boundaries of religion, race, and status it seems that most midwives express having been called to it the work and inspired in their care. To one person it may be divine inspiration and to another intuition. Either way, it is an integral part of midwifery. I did not find Sarah’s story on my own. It was given to me by one of her descendants, Vanessa, whom I met through a midwifery assistant training course. I asked for her thoughts about her ancestor and she shared, “I didn’t learn that my great, great grandmother, Sarah, was a church called midwife until a few years after I became interested in midwifery myself. I feel so proud of her and all she did to help bring spirits through the veil and take care of those who were earthside. It must have been a calling that required a sharp and inspired mind, gifted hands, and a loving a selfless heart. Talk about a woman with grit! She was also a mother of twelve, six of whom preceded her in death. Her time on earth certainly stretched and refined her as she answered God’s calling to be a wife, mother and a midwife. I asked that God would send her to be present at my recent homebirth, to guide the midwife and process if need be. It gave me peace of mind to imagine her in attendance. It might seem out there, but why wouldn’t our ancestors be interested in helping us, as we are in helping them?” Vanessa’s grandmother, Rachel, had fifteen children. As their grandmother and midwife, Sarah presided at fourteen of those births. And like Vanessa, I like to think she has continued to preside over births for her posterity. I have always loved the islands of Hawaii. My love for these islands began with my dad telling me stories of his adventures as a missionary serving there. And once I landed there as a college student at BYU-Hawaii, I understood why. There is truly something special about the Hawaiian islands and while some may think it is the beauty of the lush landscape and beaches, I believe it goes much deeper. The Hawaiian culture is rich with ohana (family) and ha (the breath of life). My husband and I recently celebrated 20 years of marriage and decided to take a trip to Kaua’i. Some friends of ours recommended we use The Ultimate Kaua’i Guidebook to plan our trip. I don’t usually bother with guidebooks but I am glad we did. I had no idea that Kauai was hiding so many treasures. Among them are the heiau, ancient Hawaiian temples. They are structures made completely of lava rock and were used for religious purposes. There are seven heiau stretching from the mouth of the Wailua River to the top of Mount Wai’ale’ale. The Birthstones are one of them. It is in this location that all kings of Kaua’i were to be born. The Wailua River Valley was a sacred and cherished area of the island. The mother to be was to give birth between these two large stones. One of the stones supported her while the other is where she placed her legs for support during the birth. They are named Pohaku Hoohanau. Inside the rock wall there was a grass hut where the mother would reside until the birth. The Birthingstones are to the left on the outside of this rock wall. This flat stone covered the remains of a sacrificed dog, a warning indicating that this place is “kapu” or forbidden to commoners. The Pohaku Piko is the umbilical stone. The newborn’s umbilical cord was placed in the large crack. 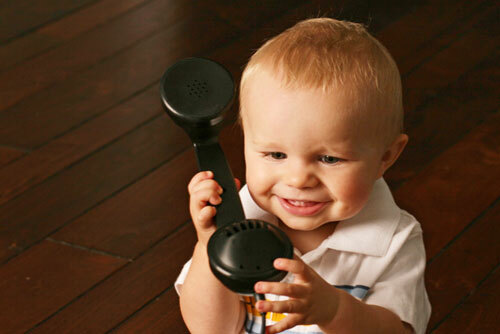 Legend states that if a rat came and took the cord then it was a sign that the child would grow to be thief. If no rat came, all was well. I know I already posted this picture above but now take a look at it to view the Pohaku Piko and its large crack from farther away. The large crack is next to the rectangular sign. The first time I tried to find the Birthingstones I was in the wrong location farther up the river. They are literally on the corner of where you turn to drive next to the Wialua River. No harm done because we saw another heiau where we were looking across the street from Opaeka’a Falls. Somewhere before that is situated the Bellstone which if hit just right produces a metallic clank sound that was believed to have been heard throughout the entire Wialua River Valley. The Bellstone was used to herald the birth of a new chief. I think it is wise to understand and be aware of our culture and history surrounding birth. And this little visit was good for me. I am not Hawaiian but who knows, maybe I will yet have a client that is. Either way, this little piece of history highlights the sacredness of birth which is what the The Gift of Giving Life is about. A few years ago I searched and searched for information about the birthing practices of Native American tribes in my area and had a difficult time finding information. (I probably just need to know where to look or haven’t looked hard enough yet.) I feel it is a treasure to have this piece of history well documented. The island of Oahu is also home to Birthingstones called Kukaniloko. Someday I will make my way there too. Have you ever visited a sacred birthing site while travelling? Please tell us about it. I think before I travel to a new place I just might have to look into any local historical birthing sights. (Only a birth junkie would do this right?) Happy Travels. *I apologize if I got any of the Hawaiian culture or history wrong here. If so it was unintended. Let me know so I can get it right. I got most of my information from my guidebook and the historical markers at the heiau sites. 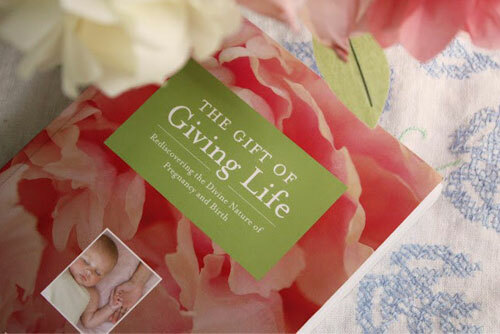 The Gift of Giving Life: Rediscovering the Divine Nature of Pregnancy and Birth offers something that no other book has before–a spiritual look at pregnancy, birth and mothering by and for LDS women and other women of faith. With inspiring birth stories and essays from dozens of real LDS women, scriptures, words of the prophets and other spiritual texts related to pregnancy and birth, The Gift of Giving Life if the essential pregnancy companion for every LDS woman. The Gift of Giving Life does not advocate for any one type of birth or approach to prenatal care, rather it intends to unify our families and communities in regard to the sacredness of birth. We also aim to provide you with resources, information, and inspiration that you may not have had access to all in one place before. Though we have written the book unabashedly for an LDS audience, we hope that birthing women, birth attendants and birth advocates of all faiths will find it useful and informative. If you have any questions about any of the terms used in the book or the blog, or about The Church of Jesus Christ of Latter-day Saints, we invite you to visit mormon.org or email any of the authors through this website. We know that our Father and Mother in Heaven care deeply about the means by which life is created—from conception, to gestation to birth. We have been commanded to “multiply and replenish the earth,” but with this commandment we were also given a reason: that we might have joy. We hope that this book brings peace, joy, and comfort to your families. Our book is getting rave reviews! Click here to see what readers are saying! Nothing in this book or on the blog should be considered medical advice. Couples should always consult with their health care provider and pray about health care decisions as a family. Though we have made every attempt to be consistent with the correct doctrine and teachings of The Church of Jesus Christ of Latter-day Saints, The Gift of Giving Life and all related media are an expression of many of our own thoughts and reflections upon pondering the truths of the gospel that we treasure. Our book, website, and facebook page are not official declarations of doctrine in regards to The Church of Jesus Christ of Latter-day Saints to which we belong and cherish our membership. Please make sure to pray and ponder about everything you read.